Despite the relative small size, Costa Rica is home to one of the highest levels of biodiversity in the world. Encompassing 4 birding zones and numerous micro-ecosystems. Costa Rica is home to more than 900 species of birds and they are found in their natural habitat whether in cloud forests, humid lowlands, mountain picks, dry forests, mangroves or coral reefs. Although it is possible to see all year round, best time would during the migration period: Autumn Migration from North America(Aug-Dec) and the Winter Migration (Jan-May). 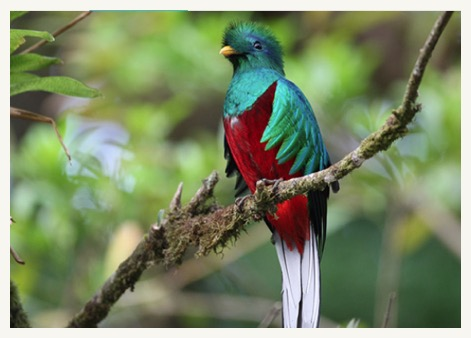 This itinerary was carefully designed according to Costa Rica´s Birding Hot Spot route and it offers a combination of nature and adventure activities with a great possibility of birdwatching. Regions to be visited: Tortuguero, Sarapiquí, Arenal, Monteverde and Manuel Antonio. Note that custom birding itineraries may be arranged for those with special interests. Upon arrival to Juan Santamari­a International airport, our driver will meet you and will take you to the beautiful Bouganvillea Hotel located in Heredia Province, know as the Flower city. Lodging will be offered at a garden view room. The unique and comfortable Hotel Bougainvillea is a place where guests can truly experience the world famous beauty of Costa Rica. Original pieces of Costa Rican art complement the stunning landscaped tropical gardens that are dominated by tall trees, plentiful flowers, ponds and mountain views. Enjoy an exciting game of tennis or relax by the swimming pool, taking advantage of the beautiful weather. The hotel presents you the graceful charm of the Vitrales Restaurant and bar, serving continental and international fare as well as delicious cocktails. Very early in the morning you will drive to Guapiles where you will return the car in order to star a 2 night, 3 days package at the amazing Tortuguero National Park. Lodging will be offered at Turtle Beach Lodge . After enjoying a delicious typical breakfast, you will be met by your guide who will take you to La Pavona or Caño Blanco dock for bordering the boat. The 175 acre beachfront Turtle Beach Lodge encompasses miles of jungle trails, a meandering private canal and a half mile of isolated beach on the Caribbean Sea. The lodge provides highly trained staff and guides who ease you into an extraordinary jungle experience. Tortuguero has incredible biological variety due to the existence of 11 different habitats. The beaches are a key nesting ground for endangered sea turtles, and manatees, caiman and crocodiles live in the canals. The jungle is home to endangered jaguars, 3 species of monkeys (spider, howler, and white-faced Capuchin) and three-toed sloths. Basilisk lizards and tree frogs inhabit the area, along with 375 species of birds. Return from your explorations each day and relax on our beach, in a hammock by the turtle pool or kayak through the canals. Play chess or cards in our games rancho and enjoy a leisurely dinner with your fellow travelers or a romantic dinner for two on request. Whether you are seeking adventure, relaxation or a combination, the unique location and diversity of Turtle Beach Lodge provides an unforgettable experience for all. Enjoy a refreshing cocktail and a delicious Lunch as we welcome you to TURTLE BEACH LODGE. After lunch, we will visit the museum, the beach area an the small and picturesque town of tortuguero. A delightful dinner will be served upon arrival to the lodge. MORNING TOUR: Enjoy nature its best as you undertake a journey through the canals at dawn, and take your best short of a real Caribbean sunrise. Discover Costa Rican flavors as you enjoy breakfast at Turtle Beach Lodge. Breakfast included. Around 8:30 a.m. you will board the boat back to La Pavona and from here to Guapiles. After lunch, a private driver will pick you up and will take you to Selva Verde Lodge where you will stay at a boungalow during 2 nights. Selva Verde is more than a lodge and more than a rainforest reserve. It is your gateway into a magical world of towering Almendro trees, Mantled Howler Monkeys, and Keel Billed Toucans. 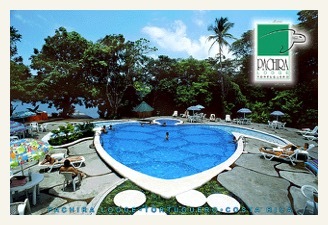 Immerse yourself in tropical nature as you hike through deep green forest or reflect quietly in a comfortable hammock. Discover something new as you encounter Selva Verde’s amazing wildlife and vibrant people. Rekindle your sense of wonder and experience the out-of-the-ordinary. Experience Selva Verde! Selva Verde is located in the midst of the 500 acre Sarapiqui Rainforest Preservation Area in the lush lowlands of northeastern Costa Rica. It is a haven for nature enthusiasts, bird and wildlife watchers, scientists and students, as well as adventure seekers. The rainforest surrounding Selva Verde provides habitat for over 300 bird species, 120 species of mammals, 48 amphibian species, 89 reptile species, more than 10,000 species of insects, 330 species of trees and countless plant species. Costa Rica is home to 5% of the world’s known species. 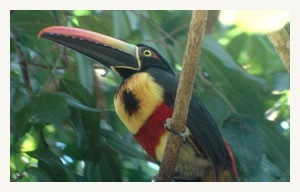 Costa Rica has a greater variety of bird species than all of North America and Europe. Now the Sarapiqui region is home to the Costa Rican Bird Route and Selva Verde is one of the established sites on the route. Private transfer to Arenal area where you will stay the next 2 nights, 3 days at Arenal Observatory Lodge, Smithsonian room with a magnificent view to Arenal Volcano. Arenal Observatory Lodge is one of the closest hotels to the Arenal Volcano. The view to this colossal is impressive. You will defiantly be impressed when you enter your room, the sense of peace and tranquility can be felt in every corner. On a clear night you will have the chance to awe at the incredible lava show that the Volcano shares with everyone. Today you will enjoy a guided hiking tour at the hotel´s beautiful trails. Later, around 4:30 p.m., a driver will pick you up and will take you to Eco Termales Hotsprings where you will relax at the healthy natural hotsprings from the volcano and enjoy a declicios typical dinner. Back to the hotel around 9:00 p.m. This morning we will offer transportation to Monteverde (either in the morning or in the afternoon). Transportation is offered with Van-Boat-Van crossing the Arenal Lake. Lodging will be offered at the beautiful Fonda Vela Hotel, standard room for 3 nights, breakfasts included. The climate is refreshing, often referred to as “eternal spring”. The views of the Gulf of Nicoya from the hotel’s 1,400 meter (4,200 foot) elevation are spectacular. 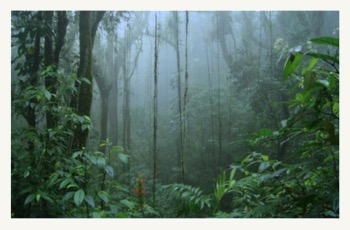 Monteverde is an ideal destination for relaxing and enjoying the wonders of the tropics. 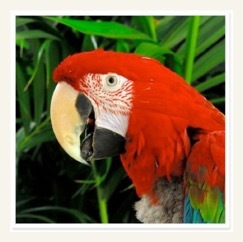 A visit of at least two nights or more in Monteverde is recommended. Experience Hotel Fonda Vela’s natural approach to life — with style! 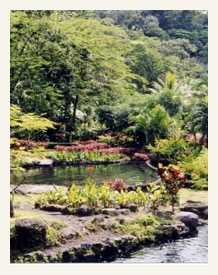 Surrounded by beautiful tropical gardens, our buildings are an attractive part of the lush, tropical mountainside. The rooms are cozy, yet elegant, spacious and comfortable. Each room is designed with the environment in mind. For example, large windows help to bring the outdoors inside. Today we will offer a guided hiking tour at Curicancha Refuge with one of the excellent local guides.. You will drive to Curicancha where your guide will meet you and will start the tour. Free day to enjoy the hotel´s facilities which include hiking trails, swimming pool or for taking any other of the optional tours available in the zone such as: Hanging bridged, zip line, horseback riding, night tours, among others. 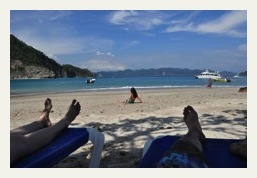 Private transportation to Manuel Antonio. Lodging at a Tropical room of Parador Hotel. Enthroned atop a majestic bluff overlooking the Pacific Ocean and surrounded by 400 acres of lush tropical rainforest, Hotel Parador “Boutique Resort”, is located in the most remote and pristine area of Manuel Antonio, yet within minutes from the World Famous Manuel Antonio National Park, the small sport fishing town of Quepos, and the local airport. Exciting tours such as canopying, rafting and jungle cruises are all close by. Just 10 minutes walking distance from the hotel, hidden in a secluded bay you will find the most breathtaking white sand beach surrounded by tranquil turquoise waters and jungle. The Hotel Parador has become one of the most emblematic facilities for leisure on the Central Pacific Coast. It offers all the expected amenities of a four – plus resorts, while maintaining a true personalized service. Among its facilities it includes: 2 restaurants, bars, conference room, gift shops, spa services, tennis court and much more. After breakfast, a guide will pick you up and will offer a walking tour through the Manuel Antonio National Park. This park has four interesting geomorphologic features. The first one is the tombolo at Punta Catedral. The second feature is the blowhole at Puerto Escondido, the third one is Punta Serrucho and the fourth one is the pre-Columbian underwater turtle trap at the western tip of Manuel Antonio Beach. The main habitats in the park are primary forest, secondary forest, mangrove swamps, which cover 18 hectares, and small herbaceous swamps and open water lagoons scattered throughout the interior. The park houses a variety of wildlife, including 109 species of mammals and 184 species of birds. Back to your hotel. Free afternoon to enjoy at the beach, why not, take an optional tour or just relax and drink a cocktail while you enjoy the refreshing swimming pool of the hotel. Overnight. Midday check out at the hotel and private transportation to Heredia. Lodging at Bouganvillea Hotel, Garden view room. Private transportation International Airport according to your flight schedule.